Step 1. Take a sheet of Cardboard People. Leave the pre-cut templates in their backing card. Step 2. 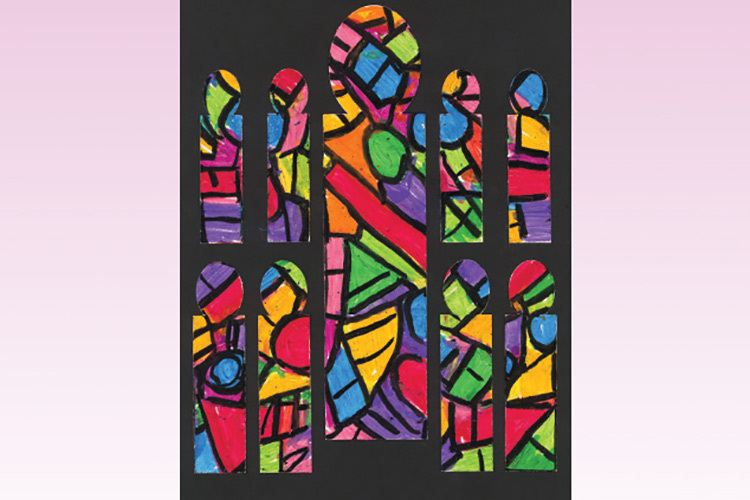 Using Oil Pastels, apply colour over all the pre-cut templates, in a range of geometric shapes. Take a black Oil Pastel and create dividing lines between the shapes. Step 3. Extract the templates from the backing card and mount on a sheet of black Cover Paper for a striking effect.